We are leading Manufacturer,supplier and exporter of innovative and modified designs of Heat Exchangers in Chennai, India that increased performance through reliable and compact packages. These heat exchangers are used to transfer heat from fluid to fluid and thus find wide application in various industries. We are offering these exchangers at reasonable rates. We are leading Manufacturer, Supplier and Exporter of Rice Mill heat exchangers, Chennai, India.that is manufactured by using high grade raw material as per the client’s requirements. Our range is available in various sizes specifications and is widely used in different rice mills. These are appreciated in the worldwide market and are offered at the competitive prices. 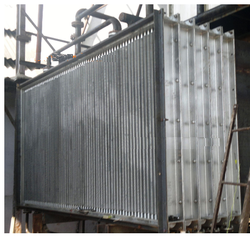 Paddy Dryer Heat Exchangers offered come designed and developed using attest technology support and are developed in superior grade stainless steel finish so as to offer lasting performance. These find application in precisely handling of air heating and cooling applications. compact design finish and others. 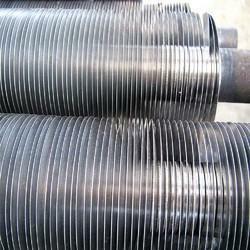 We are the leading Manufacturer,Supplier and Exporters of Industrial Heat Exchangers,Chennai,India. That is used for reaction purposes after heating up procedure. 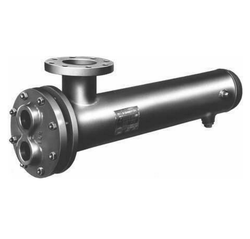 Reaction processes are carried out in different heat exchanger types, of which the most commonly used in the multi-tube heat exchanger with static mixing elements inside the pipes. Contrary to empty tube heat exchangers, these multi-tube heat exchangers considerably extend the operating time between services when using static mixing elements. 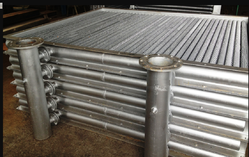 We are the Leading Manufacturer, Supplier and Exporters of Stainless Heat Exchangers,Chennai, India, which are in compliance with SS304 or SS316. 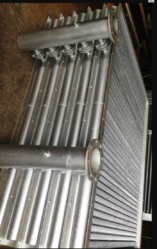 These stainless heat exchangers are manufactured with TIG welding and mirror or dull buffing finish. These heat ex changers are highly corrosive in nature and other special applications. 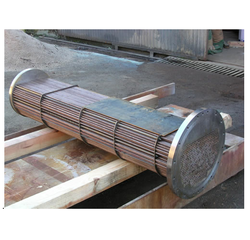 Copper Heat Exchanger offered comprises quality micro unit heat exchange tube with optimum internal and external wall finish so as to offer optimum functional usage. Further, its spiral ripple construction helps in maintaining original flow state when fluid flows through external and internal tube walls. Some of its features include double reinforcement finish; reduce heat resistance while improving internal and external heat transfer coefficient; all tubes are bright annealing that guarantees smooth surface of the tube; all tubes coming inspected by Eddy-current test and hydraulic test to assure consistent performance. We are the Leading Manufacturer, Supplier, and Exporter of Finned Tubes Heat Exchanger in Chennai, Tamilnadu, India, that are manufactured by using the high-grade raw material as per the client’s requirements. Our range is available in various sizes specifications and is widely used in different rice mills. We are leading Manufacturer, Supplier, and Exporter of Extruded heat exchangers, Chennai, India that is manufactured by using a high-grade raw material as per the client’s requirements. Our range is available in various sizes & specifications and is widely used in different rice mills. These are appreciated in the worldwide market and are offered at the competitive prices. 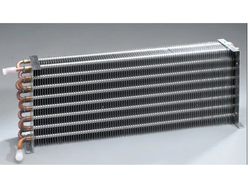 We are leading Manufacturer, Supplier, and Exporter of Finned Tube Heat Exchangers, Chennai, India that is manufactured by using a high-grade raw material. These products are available in various sizes & specifications. These are appreciated in the worldwide market and are offered at the competitive prices. 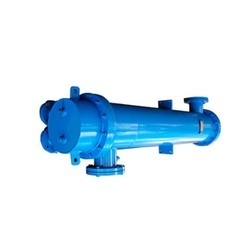 We are leading Manufacturer, Supplier, and Exporter of Pharmaceutical heat exchangers, Chennai, India that is manufactured by using a high-grade raw material as per the client’s requirements. Our range is available in various sizes & specifications and is widely used in different rice mills. 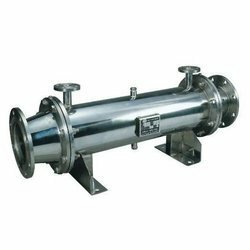 We are leading Manufacturer, Supplier, and Exporter of Finned Tubes heat exchangers, Chennai, India that is manufactured by using a high-grade raw material as per the client’s requirements. Our range is available in various sizes & specifications and is widely used in different rice mills. These are appreciated in the worldwide market and are offered at the competitive prices. We are leading Manufacturer, Supplier, and Exporter of Finned Tube Heat Exchangers, Chennai, India that is manufactured by using a high-grade raw material as per the client’s requirements. These are appreciated in the worldwide market and are offered at the competitive prices. Our range is available in various sizes & specifications and is widely used in different rice mills. 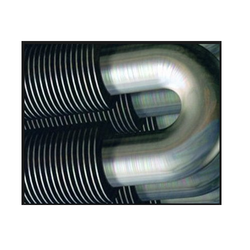 High-Pressure Heat Exchangers offered to come in superior construction finish and meets the demands of high heat exchange speed as well as superior temperature resistance. Further, these come with high-pressure resistance as well as meet the demands of superior energy conservation. Allows For Accurate Control Of Temperature. 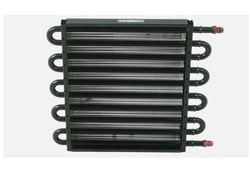 Steam Heat Exchanger offered comes designed and developed using latest technology support so as to offer optimal; functional performance as demanded by the customers. 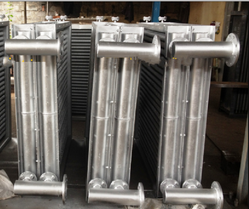 Further, these heat exchangers can be developed to handle pressure range of 0.1Mpa t 10Mpa and come in carbon steel/stainless steel 304, 304L, 316, 316L and other metal grades. We are leading Manufacturer, supplier and exporter of innovative and modified designs of Heat Exchangers in Chennai, India that increased performance through reliable and compact packages. 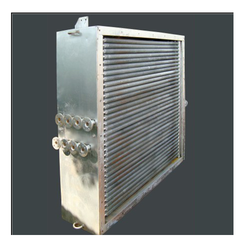 These heat exchangers are used to transfer heat from fluid to fluid and thus find wide application in various industries. 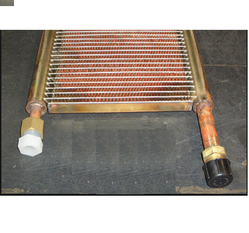 We are offering these heat exchangers at reasonable rates. We are leading Manufacturer, Supplier, and Exporter of Finned Tube heat exchangers, Chennai, India that is manufactured by using the high-grade raw material as per the client’s requirements. Our range is available in various sizes & specifications and is widely used in different rice mills. These are appreciated in the worldwide market and are offered at the competitive prices. We offer Heat Exchangers for Industries to our esteemed clients, these are designed and constructed by the supreme quality material with advanced technology by our team of professionals. 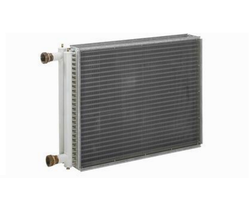 Marine Heat Exchangers offered to come in superior grade stainless steel 316L/titanium material finish which makes these deliver optimum working performance. Further, its compact size finish also makes these provide for superior usage. Some of its features include ensures high viscosity oil with good flow velocity inside the unit; high heating efficiency for oil cooling; provides for easy installation support; maximum working pressure on the oil side of 25 bars; maximum working pressure on the water side of 3 bars, 10 bars, 15 bars. Oil Heat Exchangers offered to come in compact structure finish and feature use of thin stainless steel so as to allow for high heat transfer rates. 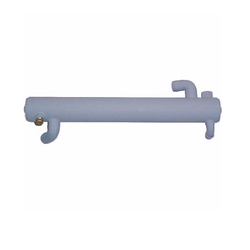 Further, the quality brazing work also provides in these heat exchangers high pressure and temperature endurance as well as long service life.